Chinese State Councilor Wang Yi has arrived in Pyongyang for meetings with top North Korean officials, including leader Kim Jong-un. Wang, who also serves as China's Foreign Minister, flew from Beijing early Wednesday for a two-day visit to the North, following North Korean Foreign Minister Ri Yong-ho’s trip to Beijing early last month. During his meeting with Kim, he is expected to review measures to build a permanent peace regime on the Korean Peninsula. 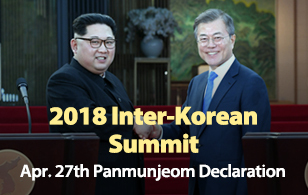 As his visit comes in the wake of Friday's historic inter-Korean summit, the North is likely to brief him on the outcome of the summit and have in-depth discussions on denuclearization, which will be on the agenda for the upcoming U.S.-North Korea summit. 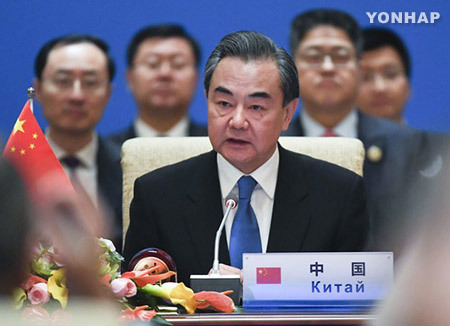 Beijing said Wang’s visit is aimed at helping implement the joint stance reached by the top leaders of China and the North Korea and strengthening strategic communication between the two allies.